Being certified with a Cisco CCNA Routing and Switching credential means that you are fortified with an analytical mind and a practical troubleshooting skillset. With this certification, your mind gets constant exercise as you apply the most accurate solution in configuring, operating, and/or troubleshooting switched and routed networks. Moreover, since programmable network architectures are constantly evolving, you are developed to become more flexible and dynamic towards the rapidly growing technologies. Hence, most network engineers who are Cisco CCNA Routing and Switching certified are always in demand by various companies and organizations as compared to those who are not certified. This certification validates your expertise in routing and switching, which is a very essential qualification needed by most employers. With an entry-level Cisco CCNA R&S certified, you are qualified to become an entry-level network engineer, helpdesk, and network administrator. As you go up the tiers of certifications, you will eventually become a network specialist, a network consultant, or a senior network engineer. And in this article, let us take a look at some renowned companies and/or organizations that allow you to apply the skills rewarded by Cisco CCNA R&S certification. After several rigorous training prior to earning certifications, Cisco knows that IT professionals with Cisco certifications have gathered the necessary skills and knowledge towards their intended job roles. With that, Cisco ensures that they have also had a pool of skilled and competent employees working around them to further improve the company. Thus, as long as you’ve shown an exemplary performance throughout the training as well an outstanding score in the certification exam, Cisco will surely notice your talent. 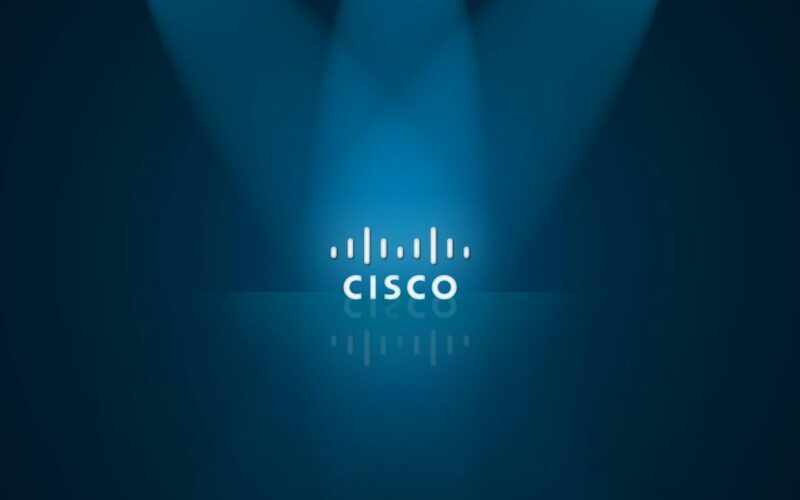 Network engineers get a chance to be employed and be a part of the established Cisco Systems. Globally, Accenture Technology is one of the leading providers of innovative technologies by providing digital, operational, and technical services, and solutions. Accenture Technology hires Application Tech Support Practitioner with a background on Cisco Routing and Switching. Your role as a network engineer is much needed to ensure the security of networks and applications needed by the clients and staff. The company is a regional Internet Service Provider in Northwestern Montana and largely operates on Cisco network. Hence, those with Cisco CCNA background are highly encouraged in the organization. Like what is taught to you during the training, your work would surely involve troubleshooting and configuring networks and routing and switching optimization. You may also be tasked to program and deploy new equipment as well as plan with network updates together with the Senior Network Engineers. Entry-level network operations engineer is being sought in Verizon Wireless Company. Together with their goal of connecting people with each other, Verizon is the leading and most reliable telecommunication company in America. Being a network engineer, you are tasked to respond to issues on customer interface as well as network security operations. You also monitor network management systems and ensure that systems run smoothly. Hence, being knowledgeable with switched and routed networks will come in handy. IT professionals with Cisco CCNA Routing and Switching credential have an advantage. As a certification provider, the Juniper Networks hires IT professionals with a background on Routing and Switching. The Juniper Networks offers a certification on Routing and Switching Certification, from associate level to specialist, professional, and expert. With that, you can practice your learning in this company. Juniper aims to provide advanced technologies to answer issues regarding networking technology and to create a connection for everything. Based in San Diego California, network operations engineers are well sought for. The company is looking for committed and talented developers to better the company as well as its customers. As a network operations engineer, you are entrusted to do network troubleshooting and fault analysis, applying configuration changes, and installing network hardware and software. Having a background with routing and switching will help you be more productive with the job. Over several years, the MORI Associates, Inc. is a premier information technology solution provider in the United States. Partners from both the public and private sectors who are dealing with the difficult challenges in networking and information technology have been assisted by the company. Projects in MORI Associates include the exciting ones such as the ones at NASA and the Jet Propulsion Laboratory. Network Administrators in this company aid in providing and developing advanced engineering solutions and information systems to progress science and technology. Knowledge with routing and switching is necessary since working as a network administrator requires troubleshooting, analysis, monitoring, and repairing of networking tools. Moreover, your job is not only limited to that. You also support various upgrades in the network and new product rollout and respond to issues from customers. Even in the healthcare system, network engineers play an important role. Located in several areas in California, United States, the Providence Health & Services employs IT professionals with Cisco experiences. Network engineers are necessary for providing enterprise technical support, evaluate system designs, design and implement network infrastructure, and configure network issues. The training courses prior to having IT certifications are tough and difficult. Hence, upon earning these IT certifications, you have been molded to become a competent and skilled IT professional. With Routing and Switching certifications, you are guaranteed with the necessary skills of a network engineer―may it be for a beginner level or the expert one depending on your level. The hands-on experiences from the various training sessions will give you the actual competencies important for troubleshooting. There are several opportunities available once you earn this certification. One door may close but another one opens. You have several options to choose from and apply your knowledge as most companies nowadays are in need of someone that can assist them with regards to technological advances. Aside from a network engineer, various other jobs also await for you including a technical support engineer, network administrator, information technology manager, systems engineer, and a lot more.